The problem with resorting to Brexit in order to “take back control” over immigration, is that it was never necessary. As Vince Cable has pointed out before, even within the EU, there are controls over immigration that were open to us,, but were never applied – not under Blair or Brown, and not under Cameron or May. That includes the time when Theresa May was Home Secretary. Not only did she not attempt to apply the controls that she could have done under EU regulation, she also failed to enforce the regulations nominally in force, instead cutting back on the numbers of border control staff and police who could have been apprehending illegal immigrants. Today’s big story is Tony Blair’s explosive demand for tough new immigration rules. The former prime minister says that “leave” voters’ concerns “cannot be ignored” and that the open borders he presided over in office are no appropriate. Blair says Britain should force EU migrants to register on arrival, so they can be counted in and out of the UK, and ban those who fail to do so from renting a home, opening a bank account or claiming benefits. In a policy paper for The Tony Blair Institute for Global Change, he also recommends restricting free healthcare for unemployed migrants and letting universities and businesses discriminate in favour of British citizens. Blair’s intervention will make grim reading for Theresa May as it makes clear she does not enforce existing rules that already permit the removal of EU migrants who do not find work after three months in the UK. Nor were they enforced during her time at the Home Office. 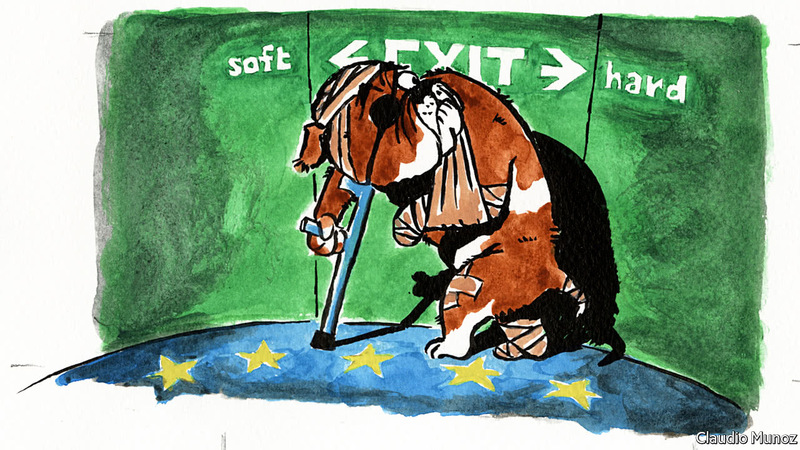 It has been a year since British voters went to the polls and voted by a narrow margin to leave the European Union. The Brexit referendum triggered a heated debate about the potential economic effects of Brexit. But what has actually happened to the UK economy in the year since the Brexit vote? These six graphs help explain. Overall, the UK economy performed relatively well in terms of GDP growth during the second half of 2016 following the referendum. However, more recently there have been indications of a slowdown in economic activity in the UK. The British currency was one of the economic variables that was most affected by the decision of the British electorate to leave the EU. 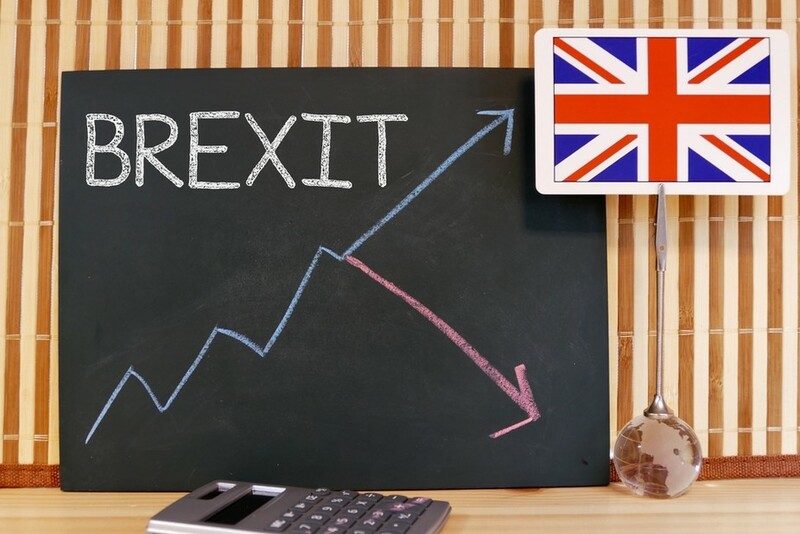 Sterling has depreciated by a significant amount, around 15%, since last year as international markets reacted to the announcement of Brexit. A standard explanation is that markets expect lower volumes for future UK-EU international trade and also that longer term projections for future UK growth could be revised downwards. The depreciation of the pound has contributed to a significant rise in the price of imports into the UK. British consumers are now having to pay a much higher price for foreign products. As a result, inflation increased from 0.5% in June 2016 to 1% in September and 2.9% in May 2017, the highest in four years. This is likely to affect both businesses that import products, and consumers. The rise in inflation also raises challenging questions for members of the Bank of England’s Monetary Policy Committee (MPC), which sets UK interest rates, and has a target to keep inflation below 2%. The MPC could tighten monetary policy by raising interest rates in order to reduce inflation, but this will probably hurt households and potentially GDP growth. Alternatively, it could decide to ignore inflation for the moment and lower interest rates even further. Or do nothing. In June 2017, members of the MPC remained divided over whether it is the right time to raise interest rates. In the labour market, the most notable change has been a drop in real weekly earnings since the end of 2016. Average weekly wages (excluding bonuses) fell from £461 in June 2016 to £459 in December 2016 and £458 in April 2017. This is the result of weak nominal wage growth (closely related to the UK’s productivity puzzle), combined with the steady rise of inflation. Real wages have fallen in the UK and people are beginning to feel the pinch. The drop in average earnings could have serious consequences for future UK GDP growth. This is both because household savings have steadily depleted in recent years, and recent UK GDP growth was driven by consumer spending. If consumers have less in their pay packet each month, the economy could slow further. The households savings ratio attempts to present a picture of how much money households save as part of their income. When the savings ratio is very small, it implies that households have fewer savings relative to their disposable income. In 2016, the ratio was at 5.2%, its lowest level since records began in 1963. One potential positive effect of the pound’s devaluation could have been an improvement in the UK’s trade balance – but that has not yet materialised. Standard economic theory predicts that currency devaluation will reduce a country’s imports (which become relatively more expensive), increase exports (relatively cheaper) and so improve the trade balance. The UK’s trade deficit was around £175 billion at the time of the referendum in June 2016. Since then, although exports have risen by 12%, imports have risen at the slightly faster pace of 12.7%. As a result, the UK’s trade deficit had worsened to £197 billion by the end of March 2017. A trade deficit is not a problem per se, but a devaluation could have brought a sizeable increase in the export sector and helped to boost employment and wages. There are a number of reasons for why this did not happen, with one being that UK exporters have not reduced the prices of goods sold abroad in foreign currency, and so just increased their profits per unit sold. The UK economy performed relatively well until the end of 2016, but there are signs that 2017 is going to be a challenging year. There is some evidence – although early – that the economy is slowing down. Bloomberg’s Brexit Barometer, an index tracking the impact of Brexit on the economy, has fallen in recent months, but does not put the economy in a “worse state” than before the referendum. Of particular interest is going to be how households will react to the rise of inflation and the erosion of their real income given that their savings are at historically low levels. And don’t forget the increasing uncertainty that Brexit negotiations and tactics will bring to the economies of both the UK and EU. THERESA MAY called a snap election two months ago to build a “strong and stable” government. How those words will haunt her. On June 8th voters decided that, rather than transform her small majority into a thumping one, they would remove it altogether. The result is a country in an even deeper mess. Mrs May is gravely wounded but staggering on. If and when she goes, yet another election may follow—and its plausible winner would be Jeremy Corbyn, of Labour’s far-left fringe. On the eve of the Brexit referendum’s first anniversary, the chaos it has unleashed rumbles on unabated. With negotiations due to begin in Brussels in days, the circumstances could hardly be less promising. Yet the electoral upset has thrown up a chance for Britain and the European Union to forge a better deal than the one which looked likely a week ago. Because Mrs May’s drastic “hard Brexit” has been rejected by voters, the question of what replaces it is back in play. Support for the EU among its citizens has jumped sharply since the Brexit vote, even as Europeans expressed doubts about Brussels’ handling of migration, trade and the economy. Countries including Germany, France and even the UK all reported a big rise in the number of people with a favourable view of the EU as the bloc’s reputation recovered from a series of crises in recent years. Britain’s vote in June last year to leave the EU has helped coalesce support for the bloc among the 10 countries surveyed, according to the analysis by Pew Research Center, which surveyed just under 10,000 people. It’s not a question of watching the wrong, Scottish, pot boil. The almost complete absence of reports in yesterday’s London-based “national” newspapers on the Northern Ireland election shows the capital is barely aware of what’s going on across the Irish Sea now the bombs aren’t going off. England is clearly fed up with Scotland, dispatching a schoolmarmish Theresa May to inform the Scottish National Party that “politics is not a game”. Quite right: it is the pursuit of long-term objectives by whatever means are available in a democracy — just ask Nigel Farage. Yet there is now a distinct possibility that the people of the six counties of Ulster could jump the queue to be the first out of the United Kingdom. In the EU referendum, 55.8% voted to remain. Couldn’t a Celtic Euro-belt around nationalist England, comprising Scotland and all of the island of Ireland, keep everybody happy one day — except perhaps for a hostage Wales? Theresa May should act unilaterally and guarantee the status of three million EU nationals currently living in Britain, and not wait for reciprocal reassurance from Brussels, according to the parliamentary committee for exiting the EU. 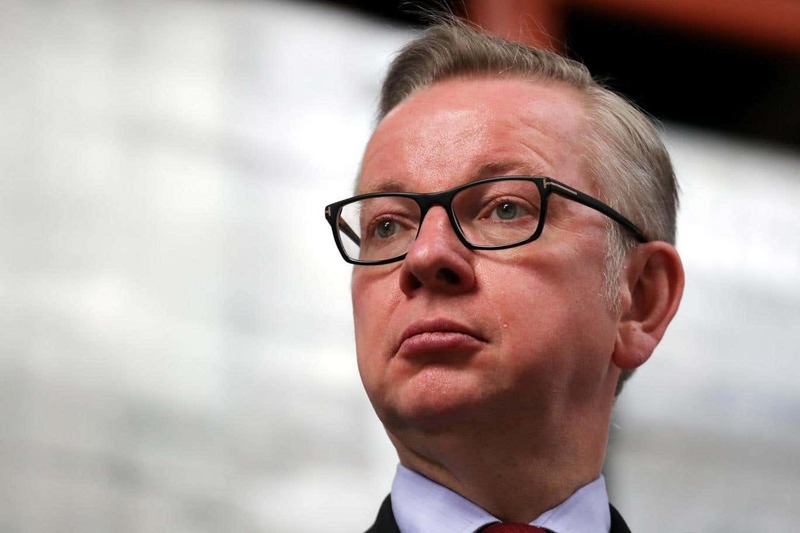 A new report jointly authored by all members of the committee, which includes prominent Leave campaigner Michael Gove, says it would be ‘unconscionable’ to make EU nationals living in Britain wait up to two years for negotiations to find out on what basis they might be allowed to stay in the UK, or even be forced to leave. Committee chairman Hilary Benn said they had been left under a “cloud of uncertainty” and did not want to be used as “bargaining chips” in the talks. We calculated the cost in customs duties for each product if Britain carried on exporting to the EU as in 2015 but without a deal. The total bill is $7.6bn, but the pain is not felt equally by all industries, nor by exporters to all destinations. Fascinating Aida, at the Edinburgh Festival, 2017, say “We’re So Sorry, Scotland”.